John has been a member of AERU staff since 1995. During that time he has been involved in numerous projects related to agriculture, the environment and sustainability. Recent activities include assessing the impact of rural development programmes of climate change mitigation and adaptation, reviewing the potential environmental impact of livestock feed additives, developing carbon footprinting tools, developing a framework for practical and effective environmental labelling , and evaluating the environmental benefits of different farming systems. His work has included the development of software applications for farmers and growers, and the development of best practice / knowledge transfer web sites in the UK and across Europe. He has also been involved in the development of methods for environmental impact assessment, auditing and risk assessments. He also undertakes sustainability assessments which involves integrating environmental, economic and social assessments to provide an holistic perspective. John has an BSc in Agroforestry from the University of Wales, Bangor, an MSc in Ecological Design from the Robert Gordon University, Aberdeen, a PhD from the University of Hertfordshire, is an IEMA (Institute of Environmental Management and Assessment) Practitioner, and is a Member of the Institution of Analysts and Programmers. Before joining AERU in 1995 John was a Researcher at the World Resource Foundation now known as Residua. There he worked on projects related to sustainable waste management. These included the use of Life Cycle Assessment (LCA) in waste management and the public perception issues. 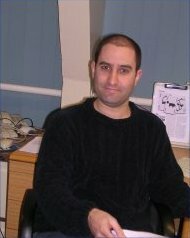 Dr. John Tzilivakis's extended publications list.